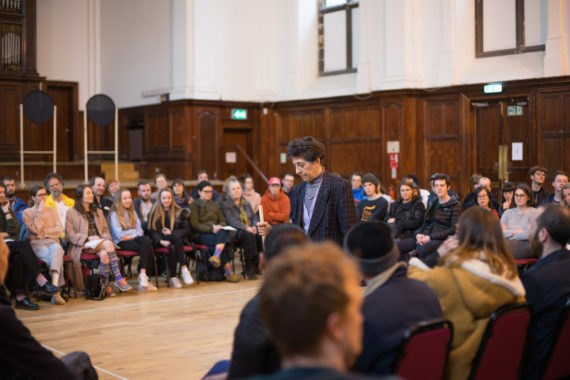 The 80-year-old Spanish artist Esther Ferrer presented two performances during this year's Glasgow International. 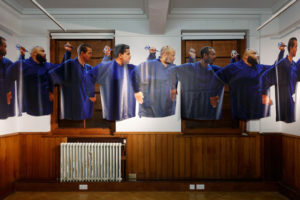 Artist and writer Jessica Ramm, one of eight a-n members selected for the a-n Writer Development Programme 2017-18, was at The Pearce Institute in Govan for the MINIMAL/POOR/PRESENT event. Esther Ferrer is wearing a subdued suit and soft leather shoes. A square of tape marks off a section of wooden floor in the otherwise sparsely furnished hall. Around this her audience assembles themselves, chattering quietly while looking sideways for a signal that her performance of Tracks, Spaces, Sounds, part of the MINIMAL/POOR/PRESENT event at Glasgow International 2018, is about to begin. Ferrer is 80 years old and is returning to the performances she developed as a young artist in the 1960s. Living in Spain under Franco’s regime, she knew about Fluxus though there was little clear information on the subject of art. 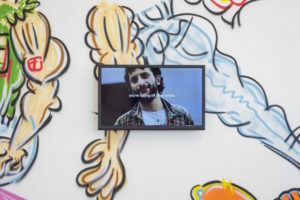 Inspired by reading about action and movement, she joined experimental music and performance group Zaj, who presented performance works as ‘concerts,’ in order to sidestep state censorship rules. Following the death of Spanish composer Juan Hidalgo Codorniu earlier this year, Ferrer is now the sole remaining member of the group, who worked together for 30 years. Ferrer is pacing along one edge of the taped square. With deliberation she places one foot in front of the other, toe touching heel. She carries a stick that is sometimes used to beat a rhythm on the floor, sometimes to steady her balance when she wobbles. When she reaches the opposite corner she pauses, and begins to work backwards, as though her intention is to methodically fill the square with invisible footsteps. The stick drags limply behind, rasping against the floorboards. This is a relaxed performance for Ferrer. She likes to walk, and she likes to walk in her head. For the audience the experience is a little tense. 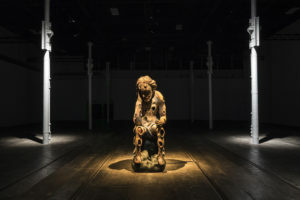 Mostly Ferrer appears intent on her task, inwardly focused on the measured footwork required by the parameters she’s working within – whatever they might be. 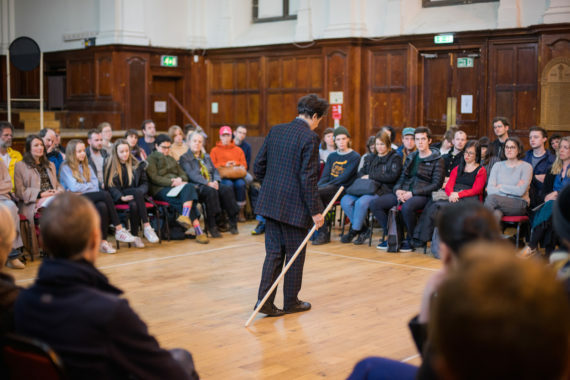 She abruptly stops and raps the stick on the floor, and looking up at her audience declares: “I’m going to ask a question from you… would you answer the question?” The answer is a forceful and self-explanatory silence. 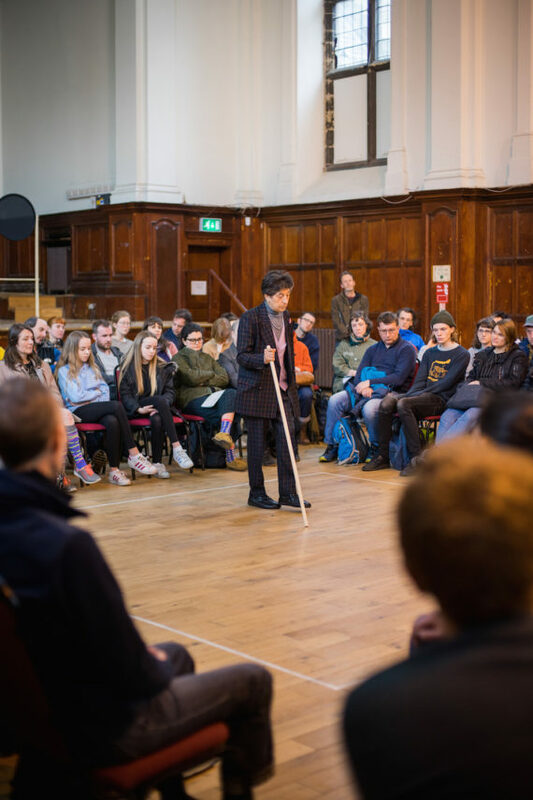 Some of Ferrer’s other performances are more obviously anarchic and celebratory, such as I’m Going To Tell You About My Life in which volunteer performers speak to the audience using a cacophony of languages from around the globe. “The fewer languages we are able to speak,” believes Ferrer, “the easier it will be to impose a single way of thinking.” In MINIMAL/PRESENT/POOR she paces out her own set of rules. The responsibility she has placed upon herself is made clear by her slow determined progress, but the audience can’t tell what the rules might be, or what’s expected of them, even when she questions them directly. She is teetering at the corner of the square. She turns and begins again, diagonally this time. The audience has slipped into a rhythm. No longer waiting, just being. She is humming to herself; something familiar that can’t quite be placed. Occasionally her movements falter and watching her becomes like watching an absent-minded elderly person going about their daily chores. Her lack of self-consciousness is disarmingly affecting. Suddenly she stops and shouts loudly, shattering this voyeuristic train of thought. Ferrer doesn’t need much to do this performance. Just a few small items she can carry in her pockets. Every time she performs it, it’s different, depending on how she feels. She doesn’t always know what she will do, but she knows the rhythm and describes her following of it intuitively. She looks vulnerable, teetering in the middle of that square, following a strict set of rules nobody else can fathom. The stereotype of the mad old woman is stalking her. But just when it creeps up close, Ferrer strikes her stick on the floor, bringing the full attention of the room back to her. She is 80, and I am two generations younger, but this dynamic feels like something we are both familiar with as women; how easily assumptions can arise, and how much power can be gained from side-stepping them. In the middle of the square she stops, reaches into her pocket and brings out an oval object on a string. She employs this as a plumb line or pendulum, swinging it side to side as though divining for water, or answering the question posed earlier. Perhaps she didn’t need the audience’s response after all, since she knew the answer intuitively all along. She seems to have found what she was looking for. The pendulum slowly comes to a still. The creaking radiators in the room fall silent.